I have duckweed on the go now to add to what I fed my Chickens. They love the stuff. I just add it to the dishes that I supply water in. So they just pick it off the water surface. No wastage at all and they get heaps of vitamins into their diet. 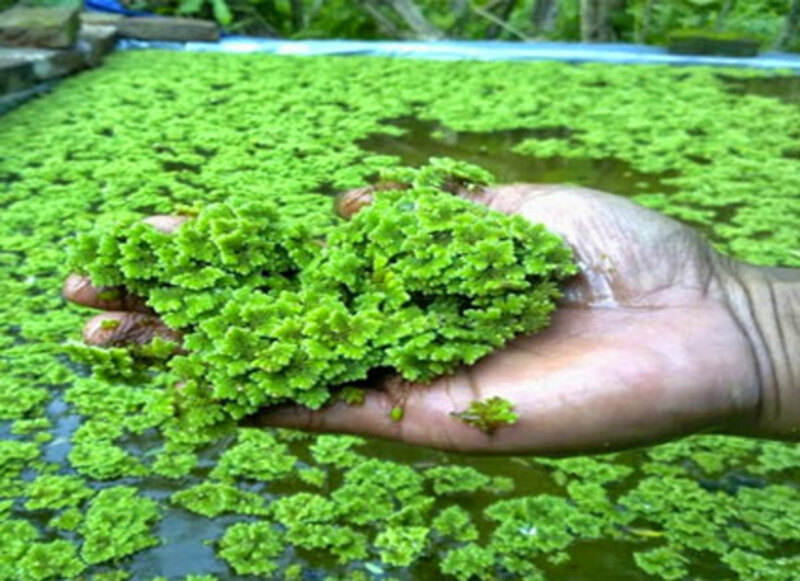 If you are into agricultural farming or animal farming, knowledge on Azolla and on its production can do wonders to the farming you are into. Technically Azolla is a type of aquatic fern and is rich in organic nutrients. Azolla includes 25-30 percent of protein, essential amino acids, vitamins (vitamin A, vitamin B12 and Beta- Carotene), calcium and iron minerals .As the same time, Azolla contains phosphorus, potassium, ferrous, copper, magnesium, bio-active substances and it is this property that makes Azolla a perfect organic fertilizer. 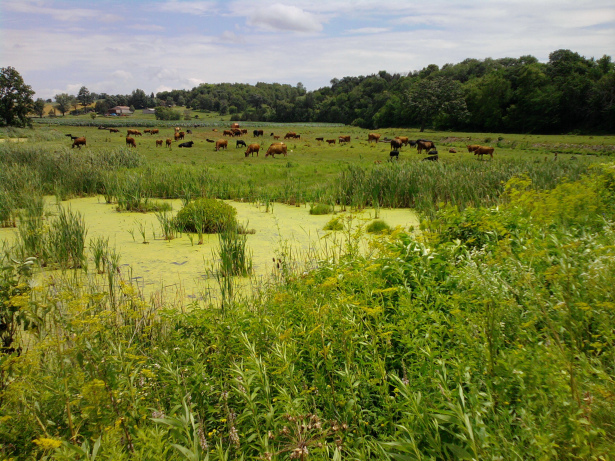 Azolla can also be used as a cattle feed. Among cattle, research has proved that Azolla helps to increase the milk production. It can be also used as a feed to quail, rabbit, fish, duck, pig etc. If fed to hen on a daily basis, Azolla helps in producing good quality of eggs. The Anabaena in Azolla helps to absorb nitrogen, and later on the nitrogen absorbed is converted to protein and amino acid which is later stored in the leaves. Since Nitrogen is one main factor that helps in a plant’s growth, Azolla, when used as a fertilizer, helps in the growth of a plant. Azollo also act as a mosquito repellant. Dried Azolla is also useful and is known to be partial substitute to the traditional sources of protein such as Groundnut meal. Hence Azolla produced in excess can be dried and stored in plastic bags.. In poultry diet, Azolla in dried form is limited to 5% along with regular diet. These days, Bio-gas is also produced from Azolla. It is very less expensive to cultivate Azolla and can be cultivated your home or farming place. Azolla is already a trending organic fertilizer and feed in countries such as China, Vietnam and Philippines. According to scientific research, Azolla ferns helps to produce nitrogen and reduce atmospheric CO2 to avoid global warming.Studies done along the Arctic ocean confirms that Azolla in a way helped to decrease the level of green house gases (water vapor and methane) and cool the atmosphere by reducing atmospheric CO2 in the in Arctic ocean area reducing the artifacts of global warming. Progressive reduction of this greenhouse gases lowered the temperatures further particularly at the poles which leads icehouse world. Due to industrialization, enormous amount of atmospheric CO2 is produced. But if we cultivate Azolla which helps to reduce atmospheric CO2, it balances risky climate change globally and benefits animals and humans. Adaption of Azolla cultivation is rapidly growing in India too. There are many Azolla farms in states such as Andrapradesh, Karnataka, Kerala, Tamilnadu etc. This brings India some extra yields in crops, milk production and good revenue in exporting Azolla to other countries.